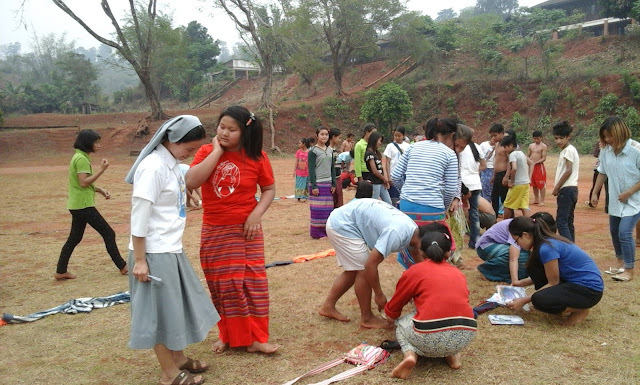 Adhering the Word of the Risen Lord, the sisters and formands of Anisakan and Yangon community animated a Catechesis Camp in Kanasogone village, Pathein Diocese. There are almost 800 families in that village and mostly are Catholics. Most people are from Karen tribe and they are very simple people. 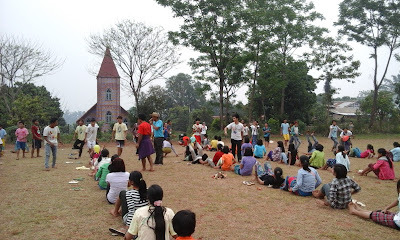 Many children and youth are out of school because of poverty in that place. Some girls work in the cities as prostitutes to earn something for their families. The Parish Priest, Fr. Carolus invited us and entrusted to us 450 adolescents and adults to have immediate preparation for four days to receive the Sacrament of Confirmation. 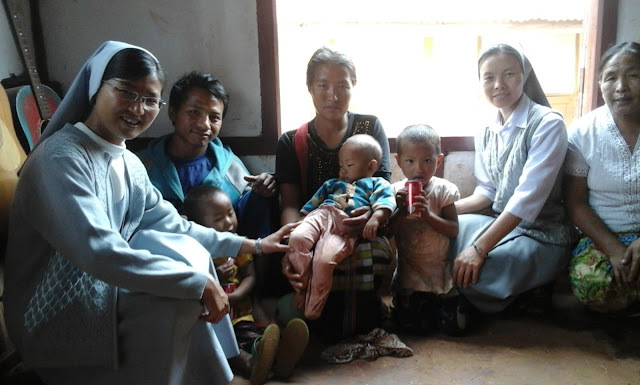 We were all 7 sisters at first and after that two sisters had to go back to the community because of other commitments, 2 aspirants, 3 assistants who proclaimed God’s love with joy. Each day there were time for Catechesis, Prayers, Song and Dances, Games, Hand Crafts, Sharing, Talent Show, Bible Quiz, Good Night, Watching educative videos. The young people who participated were filled with joy and enthusiasm to live their Christian vocation to the full and we are also encouraged by their heart-filled responses and collaboration. The parents of the youth were very thankful to us as we accompany their children to know, love, commit their lives for Jesus courageously. We are filled with hope and joy as we witness and live the da mihi animas, cetera tolle. 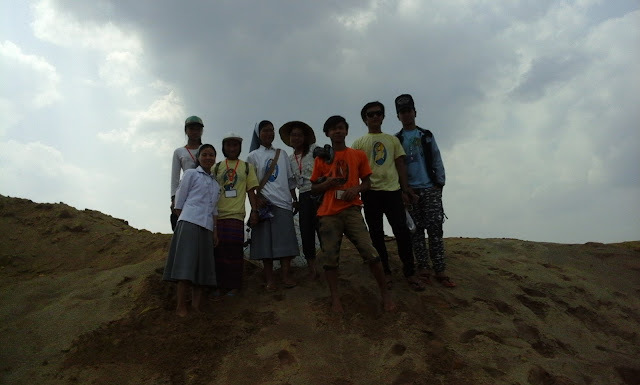 It was a very hot place and Summers season has begun in Myanmar. 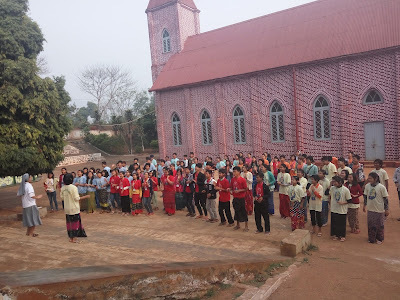 We remember the words of our loving Father, St. John Bosco, let FMA be ready “to suffer heat, cold, hunger, thirst, fatigue and contempt.” We are happy because we lived his word and his love as we spent our time with the youth, children and adults of Kanasogone village for Easter time.